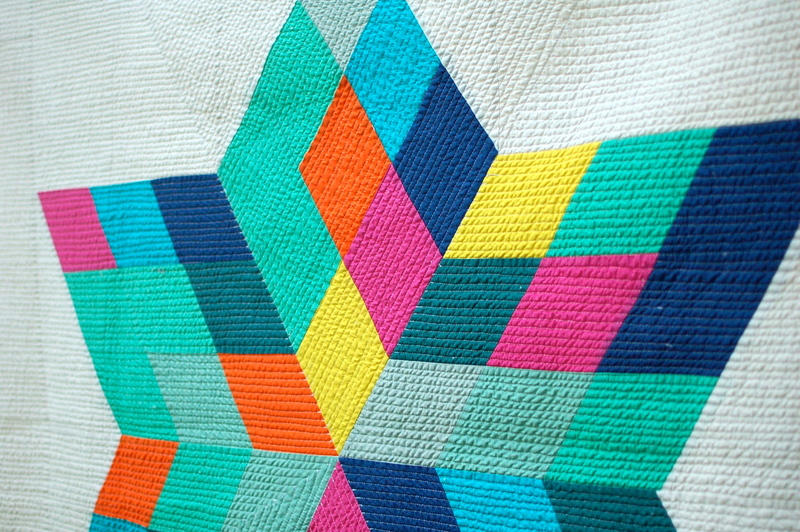 It’s no secret I am a huge fan of Cortney Heimerl ‘s quilts. I admire the way she pares down traditional designs and interprets them in fresh, bold colors, infusing the motifs with a modern energy. Her quilts are simple, elegant, straightforward. 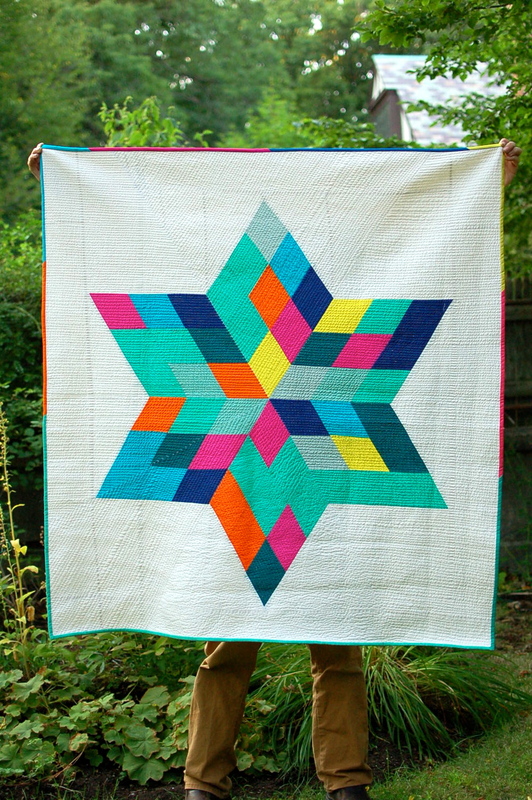 When I saw that one of my favorites, the Morningstar Quilt, is now available as a free pattern from Robert Kaufman, I had to make it. I found it to be a very clear and straightforward pattern, just like the design itself. It’s a quick, easy, satisfying project that one can easily whip up to one’s style. For example, you can select just three colors and make it all symmetrical with the repetitions as you would see in a traditional lone star design, or you can opt for a more random seeming selection of colors and arrange them intuitively. The pattern itself has specific instructions for making one exactly like Cortney’s. Whatever approach you take, you will end up with something awesome. When quilting this, I decided to quilt it densely with straight lines spaced about 3/8 inch apart. My approach was pretty much the opposite of Cortney’s. Her Morningstar was handquilted in a spare and elegant fashion. I love that the design is versatile enough to work both ways. This has been one of my favorite projects so far this year. I’m excited to see what else Cortney is up to these days. Her series of flags is pretty inspiring.